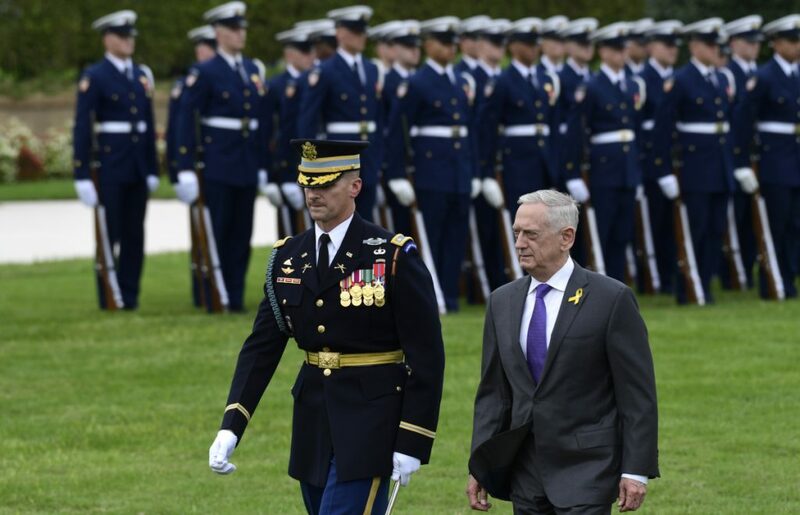 WASHINGTON — On his final day as secretary of defense, Jim Mattis on Monday urged all Pentagon employees, military and civilian, to “hold fast” in defense of the country. Mattis, who submitted his resignation on Dec. 20 and was in effect fired by President Trump three days later, was working in the Pentagon on Monday and preparing to hand off his duties at midnight to Deputy Secretary Patrick Shanahan. Trump picked Shanahan, a former Boeing Co. executive with no previous government or military experience, to serve as acting defense secretary, pending a decision on who would be nominated to serve in a more permanent capacity. In a written farewell message, Mattis quoted a one-sentence telegram that President Abraham Lincoln sent to the commander of Union forces, Gen. Ulysses S. Grant, on Feb. 1, 1865, in the final weeks of the Civil War.